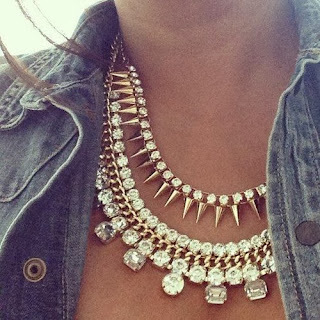 Basically every outfit I wear involves some type of necklace hanging on my neck. 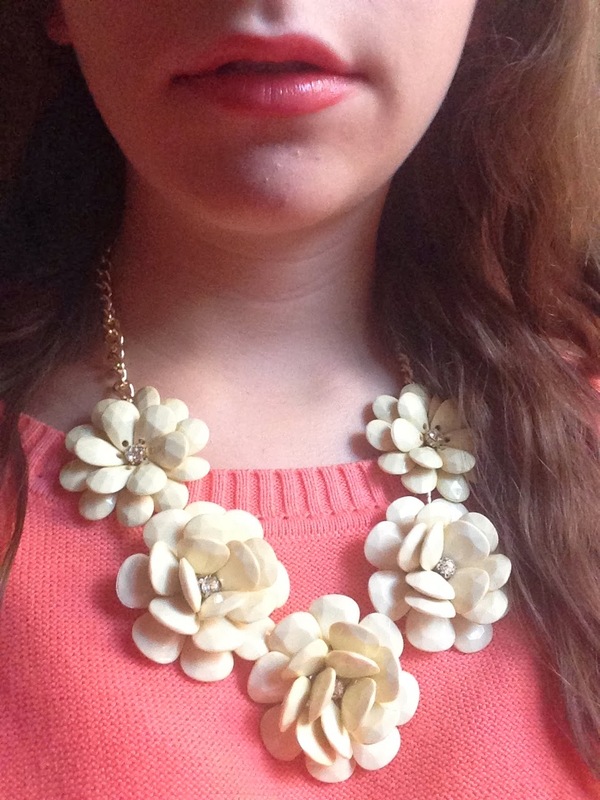 Most of the time they are statement necklaces. I don't know what it is about them but they just complete every outfit. 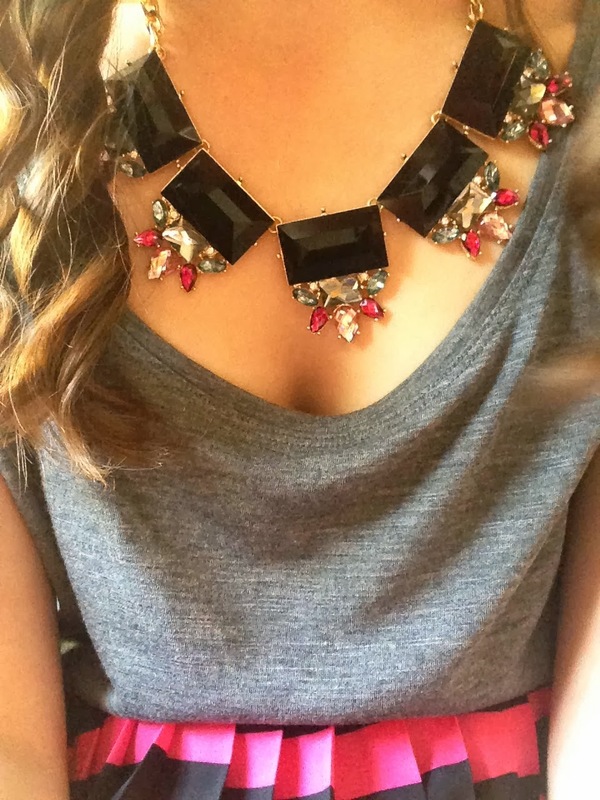 Necklaces are one of my favorite accessories in general. So it's really no surprise that I have had this recent obsession with huge junky necklaces. 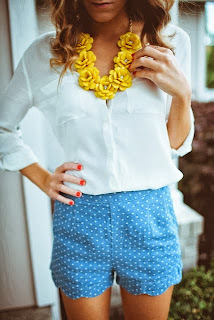 Most of my personal favorite pieces are either from J Crew or J Crew inspired. 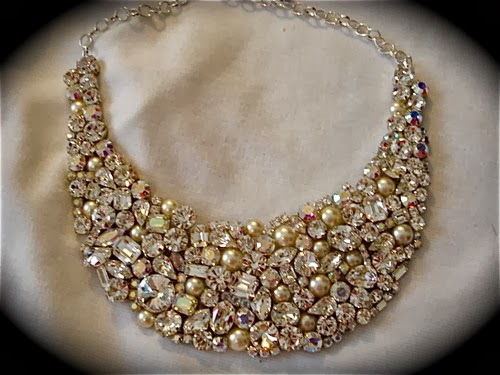 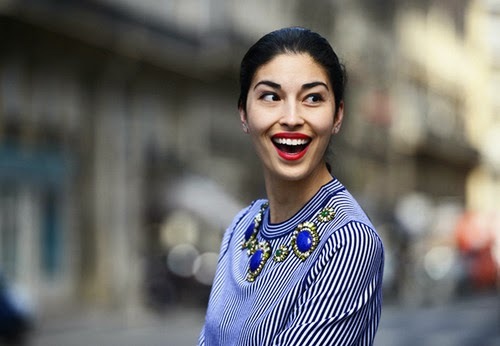 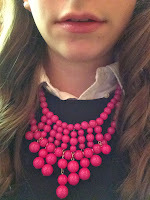 Moral of the story J Crew's necklaces are just fabulous. 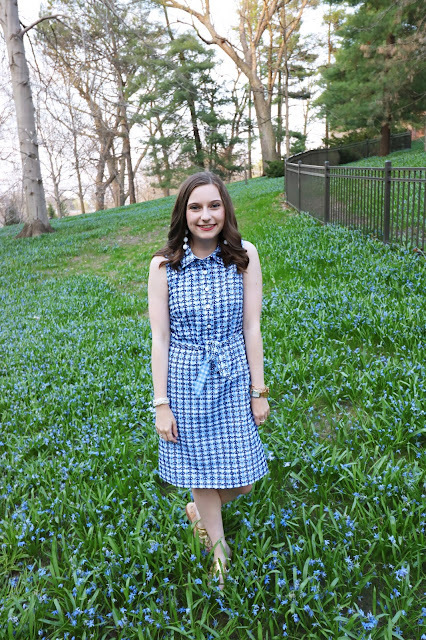 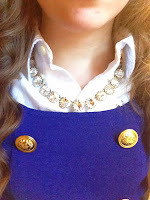 Both of these pieces are super preppy. 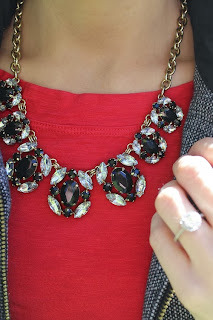 I love wearing rosette necklaces and pretty rhinestone pieces to add a little prep into my outfits. I also love added edgier necklaces that include spikes, studs, or gems. Adding pieces like this can make a difference in your whole look.